I am really pleased and honored to be asked as a guest designer on Through The Craft Room Door. 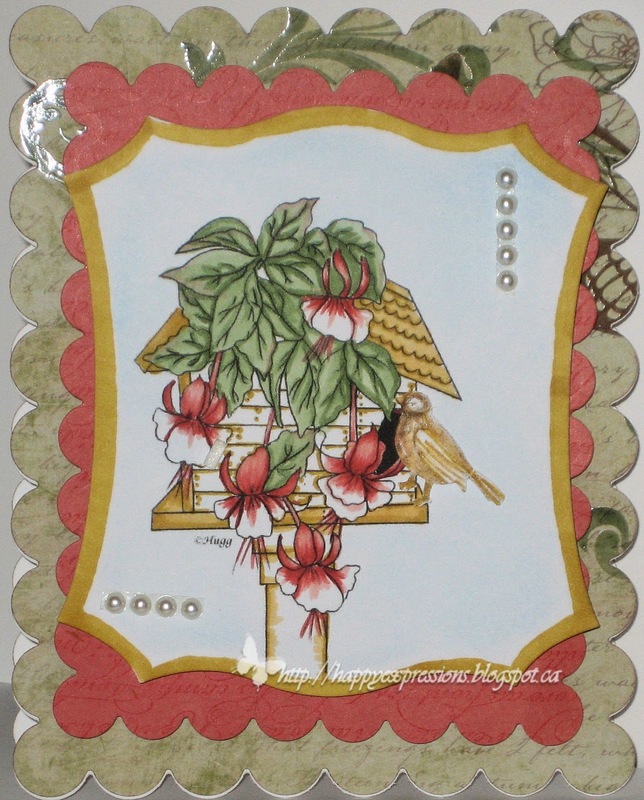 I am using this cute stamp from Sandy Huggett sandyssamples stamp. I printed the image onto neeneah card stock and cut it out with Shapez frames 2. I colored the image background with SU chalks. The image was colored with copic markers. YG61,63, Y23,26, R 20,22,24. The card base is neenah cs and the green layer is from recollections habitat stack. The pink layer is from Ki pad and they were both cut from spellbinders grand scalloped rectangles. The top two layers were added with dimentional foam. The only embellishments added were the pearls. I didn't think it needed anything else. Thank you for stopping by, have a blessed and happy day!